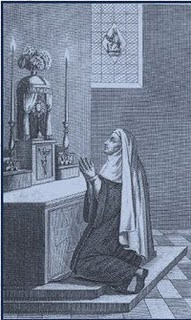 A commentator has recently drawn my attention to the prophecies of Sr. Jeanne le Royer (who took the religious name of "Sister of the Nativity"), a French nun who received a series of apocalyptic visions in the 18th century. Sr. le Royer's visions were recorded in the 1817 book Vie et Révélations de Sœur de la Nativité (The Life and Revelations of the Sister of the Nativity), by Charles Genet. Her prophecies correspond quite closely with many of the hypotheses I forward in my book Unveiling the Apocalypse - which is quite remarkable, given the fact that my theories on this subject were not in any way influenced by this particular source. Sr. le Royer's prophecies mention mountains "cracking and splitting" after a series of great earthquakes, which she states will take place just before the coming of the Antichrist. 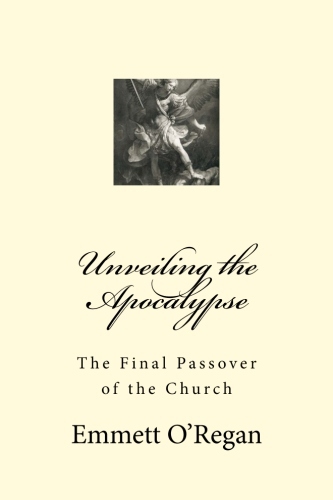 As anyone who has read the book will know, in Unveiling the Apocalypse I argued that the rise of the Antichrist will take place following the total economic collapse of America, which I believe will happen as a result of the greatest natural disaster in human history. If the East Coast of the Americas is devastated by the mega-tsunami event generated by the lateral collapse of the volcano Cumbre Vieja in the Canary Islands (an event which will fulfill the "great mountain, burning with fire" being thrown into the sea in Rev 8:8), this unprecedented disaster would ensure the total economic collapse of the entire United States. This event would then leave a political vacuum that will provide the perfect opportunity for the rise of the Son of Perdition to world dominance. In turn, I argue that the repercussions of this catastrophe will inevitably lead to the battle of Armageddon, when the world will be destroyed by fire "falling from the sky" (as was warned by Our Lady of Akita). "And there were flashes of lightning, rumblings, peals of thunder, and a great earthquake such as there had never been since man was on the earth, so great was that earthquake. The great city was split into three parts, and the cities of the nations fell, and God remembered Babylon the great, to make her drain the cup of the wine of the fury of his wrath." "When you finish reading this book, tie a stone to it and cast it into the midst of the Euphrates, and say, ‘Thus shall Babylon sink, to rise no more, because of the disaster that I am bringing upon her, and they shall become exhausted." "The second angel blew his trumpet, and something like a great mountain, burning with fire, was thrown into the sea, and a third of the sea became blood". In the book, I theorize that if the world's greatest earthquake took place in Jerusalem, as is predicted in the Apocalypse, this would almost certainly lead to an increase of volcanic activity across the North African tectonic plate, which in turn, could ultimately lead to a devastating eruption of Cumbre Vieja. This would then explain how "Babylon" is to be punished after the greatest earthquake in human history, as is described in Rev 16:18-19. So the sequence of events given in the prophecies of Sr. le Royer fits in perfectly with timeline of events I attempt to detail in Unveiling the Apocalypse. Writing towards the end of the 18th century, Sr. le Royer was told that the "sun would set in about 2 hours", and that these hours represented centuries - placing the significance of her prophecies as relating to sometime around the turn of the millennium. Yet before this "setting of the sun", when the world will pass away, Sr. le Royer was shown that the Church would be restored during an age of peace which would last "a reasonably long time". Given that her prophecies are centred around the turn of the millennium, it seems that the age of peace given to the world before the coming of the Antichrist is related to this exact time period. "Woe ! Woe ! Woe to the last century ! Here is what God wanted to show me in his Light. I began looking in the light of God, the century which must begin in 1800; I saw by this light that judgement wasn't there, and that it wouldn't be the last century. I considered, thanks to the same light, the century of 1900, until the end, to see positively if it would be the last. Our Lord made me know, and at the same time made me doubt, if it would be at the end of the century of 1900, or in that of 2000. But what I saw, it is that if the judgment arrived in the century of 1900, it would come only towards the end, and that if the world exceeds this century, the one of 2000 will not pass without the judgment intervening, as I saw it in the light of God." the Angel cried out in a loud voice: ‘Penance, Penance, Penance!'. In the Third Secret of Fatima, the Shepherd Children were also shown a judgment taking place in "an immense light that is God" - in the form of the final Passover of the Church, which will take place during the persecution of the Antichrist. But the children were additionally shown that this light was "something similar to how people appear in a mirror when they pass in front of it". As we will discuss in some more detail in a future post, the great mirror-like "light" shown to the Shepherd Children of Fatima (which takes place just before the final Passover of the Church) is related to the appearance of the Great Sign foretold by St. Faustina and Our Lady of Akita, which many commentators believe is directly related to the prophecy of the Illumination of Consciences - when people will see the state of their souls reflected back at them as if shown in a mirror. It seems that the appearance of the Great Sign (which will possibly be something like a spectacular cross-shaped supernova) will cause people to deeply reflect and examine the state of their consciences, and will help to fully establish the Second Pentecost. In the Third Secret, the appearance of the mirror-like "immense light that is God" takes place in direct response to the Angel's threefold call for penance before the earth is struck by the flaming sword. This call for repentance will be met with the arrival of the Second Pentecost, when Our Lady will intervene to quench the flames that threaten to consume the planet through the triumph of her Immaculate Heart. Is it possible then that the "judgment" seen by Sr. le Royer taking place in the light of God is one and the same as immense light seen by the Shepherd Children of Fatima? If so, then the arrival of this event is dated by the Sister of the Nativity to occur before the close of this very decade - which is yet another remarkable convergence on this particular time period. One last striking parallel of the prophecies of Sr. Jeanne le Royer with the theories I present in Unveiling the Apocalypse is the nature of the relationship between the Two Witnesses and the martyr-pope seen by various Catholic visionaries. The mention of the pope being "crucified" is a symbolic link to the martyrdom of the first pope, St. Peter, and also further ties into the Third Secret, where the "bishop dressed in white" embarks on his own via dolorosa, before being martyred at the foot of the Cross in Jerusalem. Sr. le Royer then turns from mentioning the assassination of a pope under the Antichrist to describe the ascension of "Enoch" and "Eli" (Elijah), which further suggests that the identity of one of the Two Witnesses is a Roman Catholic Pontiff. After the martyrdom and ascension of the Two Witnesses in the vision of Sr. le Royer, she is shown "tidal waves inundating much of the earth's surface", which would again tie in with my mega-tsunami hypothesis. In this scenario, the "thick darkness" enveloping the earth would most likely be due to a massive volcanic eruption (i.e. at La Palma in the Canary Islands). This would then correspond with my theory that the "huge mountain, burning with fire" being thrown into the sea takes place in response to the martyrdom of the Two Witnesses. The water turning to blood after the burning mountain is thrown into the sea recalls the ministry of Moses and the plagues of Egypt - which may also have been caused by a volcanic eruption (see the earlier post The Santorini Eruption and the Apocalyptic Plagues of Egypt). Who are you, O great mountain? Before Zerubbabel you shall become a plain. A selection of various prophecies of Sr. Jeanne le Royer can be found at the Catholic Revelations website here.